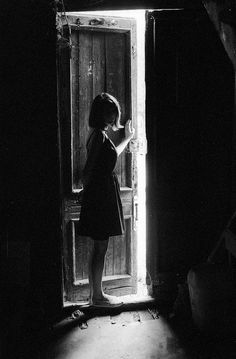 Reading an opening line in a book is like opening the door in a mysterious house. The opening line of each chapter and scene opens the door to a new room. A door is a portal, a representation, and a foreshadowing of what is to come. Your opening lines don’t stand alone but are an integral part of the whole. The opening line sets up expectations for the room beyond. A dark, creeky door might lead to a room haunted by ghosts, memories, or unseen antagonists. A glittery, gold door sets up completely different expectations for the reader. Take a look at the nearest door. It is probably simple. As important as doors are, most people don’t want to take a lot of time opening one. Opening lines are usually the same way. Simple. Often short. They mark a transition but reading one rarely takes a lot of time. To make it easier for your reader to pass the threshold, consider eliminating wasted words from your opening line. At the same time, topics and details mentioned in the opening sentence should be elaborated on later. Don’t create false or misleading doors. This can be entertaining for the creator but quickly becomes annoying, frustrating, or confusing for the reader. You may be the architect but the reader is the person you for whom you are building this house. Many writers make the mistake of thinking doors don’t matter. So many doors and opening lines lack character. But like in the picture above, you see the door before you see the room. The door in the picture has character. Don’t waste your opening lines. Give them uniqueness and substance. As a closing note, I want mention that while the door can build anticipation, introduce mood or concepts or character or theme, the second line needs to sustain and elaborate on these elements and sustain interest. A fabulous door that leads to a boring room? Total let down. So don’t let your work go to waste. Posted in The Process.Tagged dragon plume, dragonplume, opening sentences, writer block, writing, writing opening sentences.